Keywords: Face Beauty, ASMs, Texture Feature, Blocked-LBP. 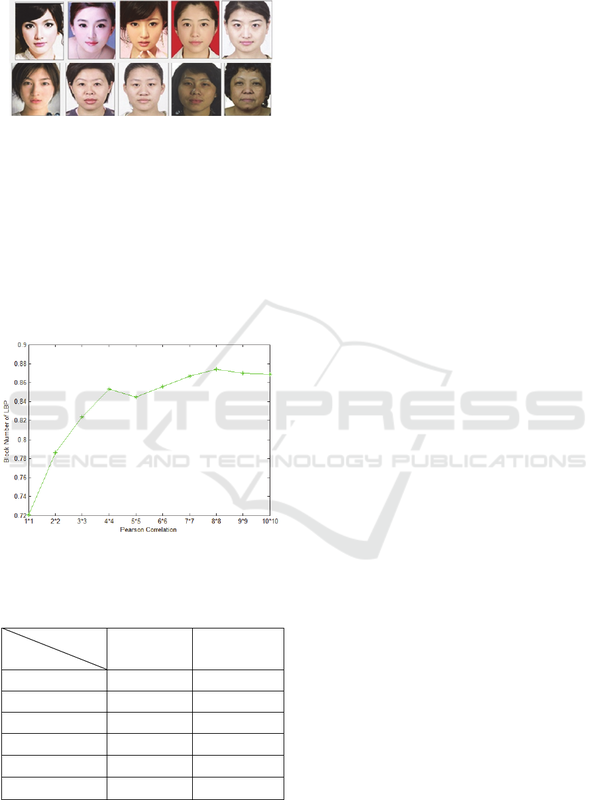 output of the facial beauty by our algorithm and subjective judgments by the raters for evaluation. feature extraction and classification, respectively. by using 170 female face images as the testing data. 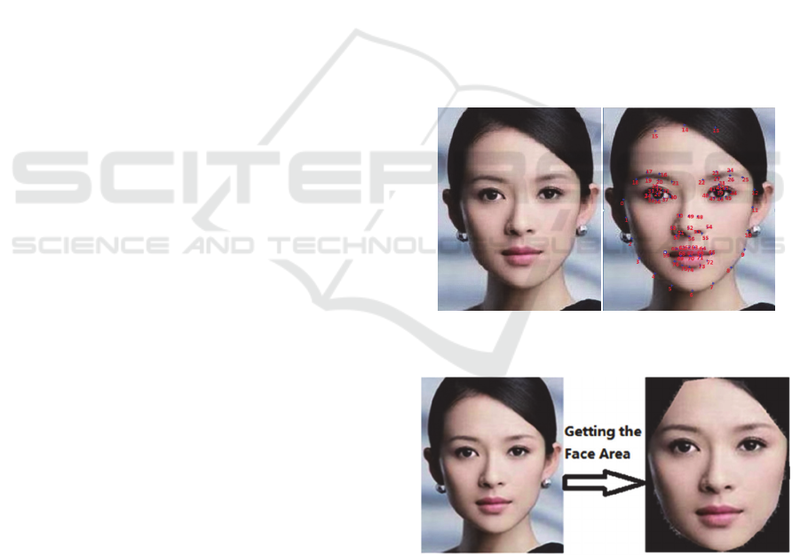 Lu, G., Xiao, X. and Chen, F.
A New Face Beauty Prediction Model based on Blocked LBP. Section 4, and the conclusion is given in Section 5.
removed. Figure 2 shows the result. Figure 1: Landmark extraction by using ASMs. Figure 2: The process to locate the face region. Figure 3: The process for calculating a LBP. invariance LBP which is based on a circular domain. Figure 4 is a circular LBP operator. Figure 4: A model for circular LBP operator. are some bad features on the face, such as scars. the BLBP method is as following. rated score of the corresponding face image. the testing image’s final score. Figure 6: The flowchart of BLBP extraction. samples than block LBP, as shown in Figure 5. 1920; Rodgers and Nicewander, 1988). Figure 7: Some examples in the image gallery. where , may be different for different images. analysis face beauty in different database. get a correlation coefficient of 0.874 in our database. the highest correlation coefficient of 0.852.
proposed in accordance with texture features. of 0.874 in our database. 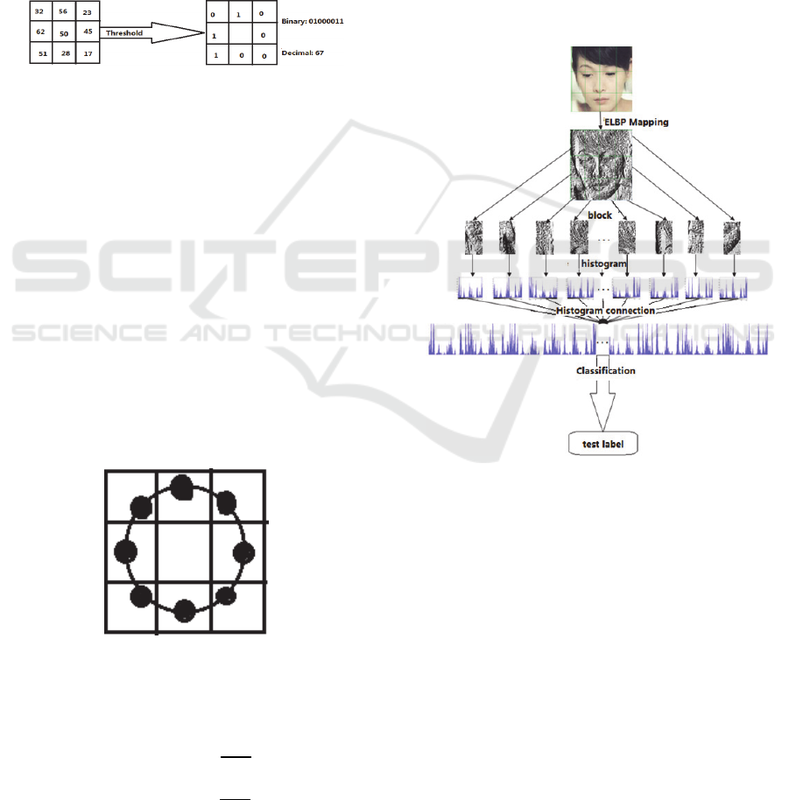 Advance Neural Information Processing Systems, pp. Conference, Lausanne, Switzerland, pp. 1945-1949. 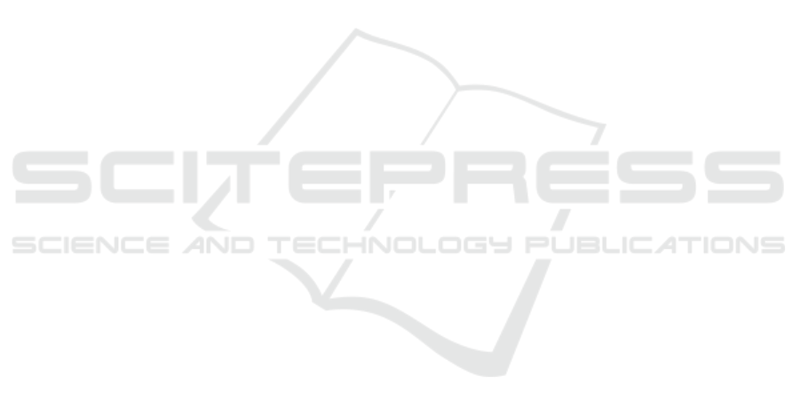 Communication and Computer, pp. 674-679. Vision and Image Understanding, pp. 38-59. Sukno F., Ordas S., Butakoff C., Cruz S., Frangi A., 2007. Pattern Analysis and Machine Intelligence, pp. 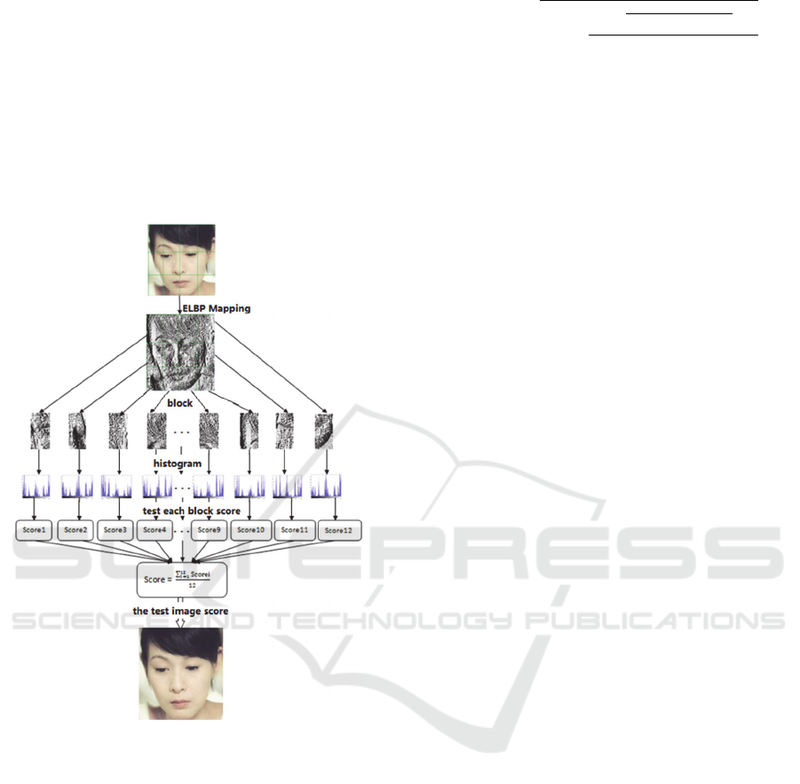 Journal of Advanced Robotic System, pp. 1-6.
with global matching, Pattern Recognition, pp. royal society. Proceedings Biometrika, pp. 25-45.